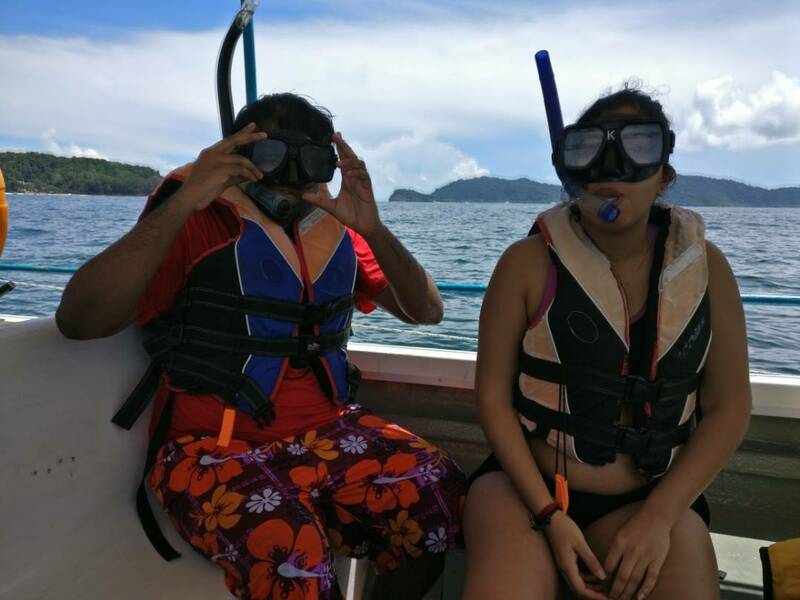 Boggler Blogger: Spectacular Sabah: Things You Should Try Out at Kota Kinabalu! Spectacular Sabah: Things You Should Try Out at Kota Kinabalu! The best part about the hotel is that it is located with in 10 minute drive from the airport and all the other tourist attractions. With ample of Grab and Uber rides available around RM 6, it makes it very easy for you to travel via this services to all the spots at an affordable rate. Being a person who likes being in water, the swimming pool at C'haya Hotel was my favourite part. 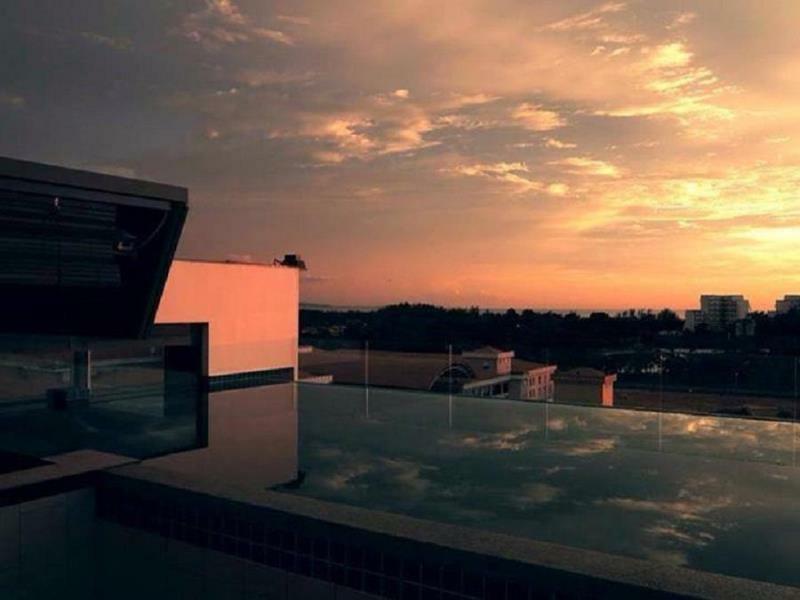 Although they didn't have the biggest of pool but it provided beautiful views at either end of the swimming pool. At one end you can get a clear view of airplanes taking off from KKIA and on the other side you can catch a beautiful view of sunset at Tanjung Aru Beach. I found the price of the room at C'haya Hotel to be rather reasonable. I was able to get a room for 2 people below RM 200 per night and the room was cozy enough to stay and have drinks at nights with beautiful views of airplanes flying nearby. If you want to do something relaxing or taking beautiful photos, then catching the sunset at KK is a must do thing for you. Primary there are two spots for you to watch the sunset. The first being Waterfront and the second being at Tanjung Aru Beach. 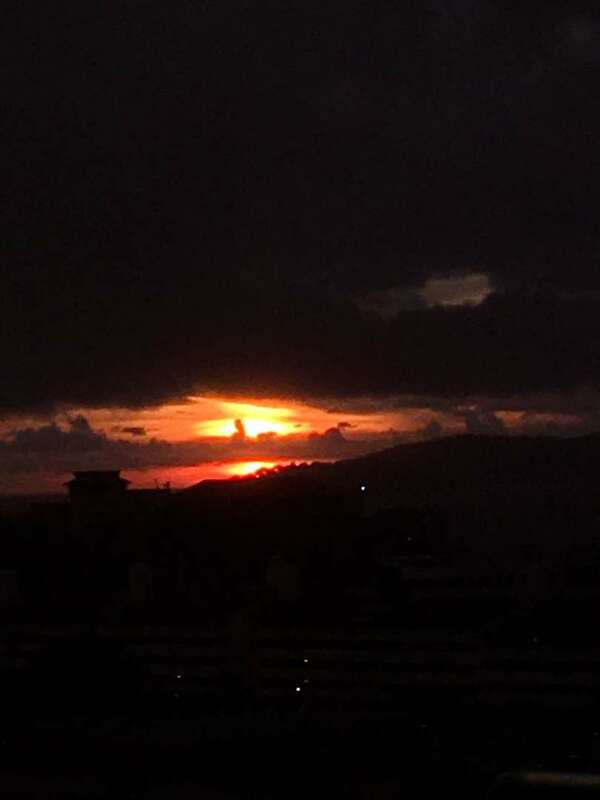 To my bad luck, the day I went to Waterfront, the clouds were very gloomy whereby I couldn't see a proper sunset. Nevertheless having some bites and chilling to the sea view was indeed relaxing. The best thing about Sabah is surely it's island. 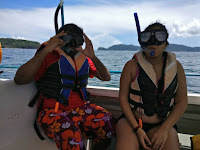 You have to try out snorkeling at Sabah. It is like entering into a whole new world. Don't worry you can even do it if you don't know how to swim. How do I know that? Well that is because I can barely swim myself, and yet I was able to completely do the snorkeling experience on my own. 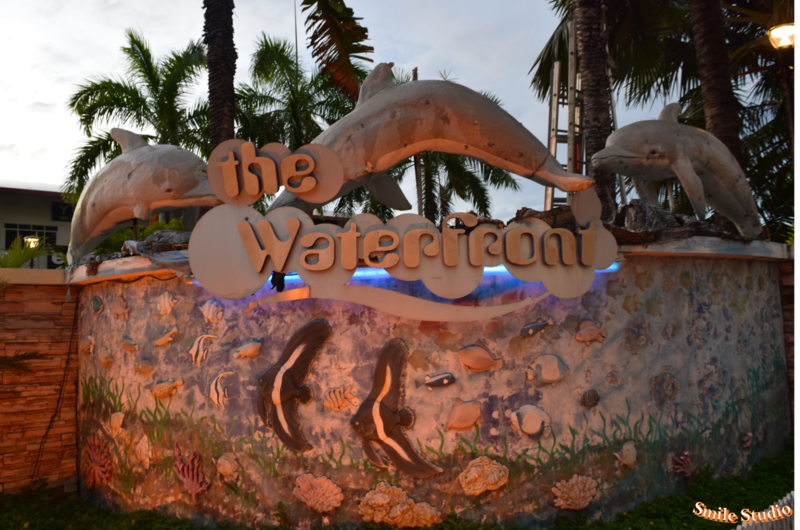 All you need to do is head down to Jesselton Point at KK. This is the spot where you can rent the speed boats to head to the island. If you are going with a group of friends/family you have the option to rent out a speed boat fully for your uses or you can choose to share the boat with other people. The sharing option is of cause cheaper. There were 4 of us in my group and we decided to rent a full boat for ourselves. The price per person for the boat inclusive of the snorkeling gear, island entrance fees and safety locker cost us RM 115 each. For the experience I got, I felt it was value for money. 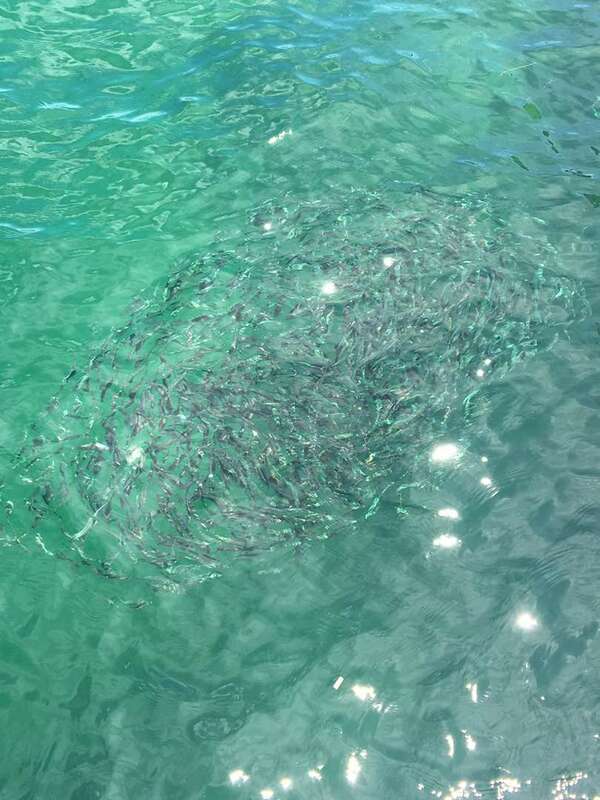 You would be brought to do snorkeling at 3 spots. The first spot is at the shallow part of the Manukan Beach. 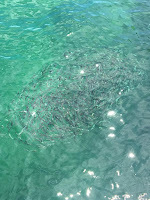 Although it is shallow, when you snorkel, you would be able to see many types of fishes swimming near your body and hands. 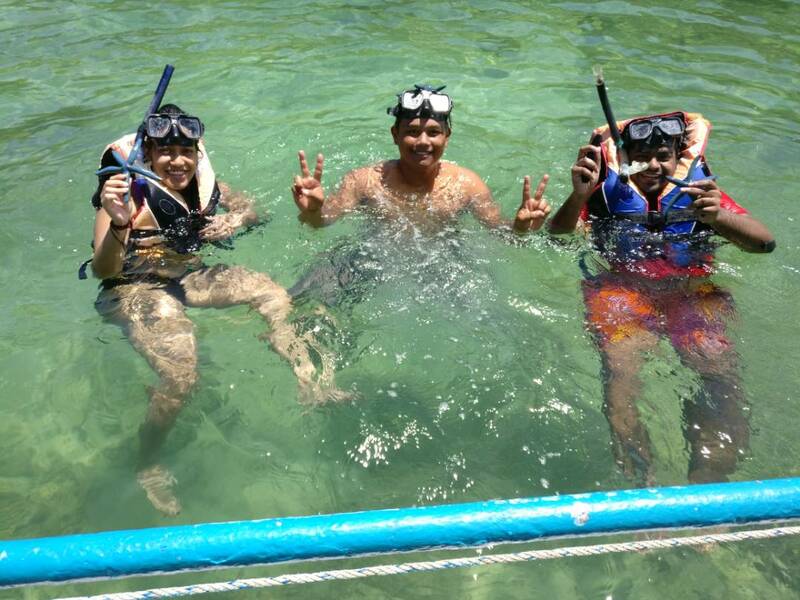 Once you are done there, they will bring you to the middle of the sea near Manukan Island where by you can snorkel to see the coral reef. This was the best moment of my entire vacation. Dipping my head in the middle of the ocean and it open up to a whole new world. So many different type of fishes and coral. It was so beautiful and such an amazing experience. I just didn't want to leave there. 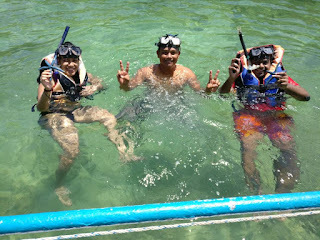 The final spot for snorkeling is an area which has Starfishes and Sea Cucumber. If you are able to swim without a life jacket, you can actually take a small dive in and grab the Starfish and Sea Cucumber with your hands and bring it up to take photos with it. Since I am not good at swimming, I got my guide to dive in and get me the Starfish and Sea Cucumber. It pays to be nice to people. An additional item you can try out while at the island is to go to Sapi Island and try the longest flying fox which is a line from Gaya Island to Sapi Island. 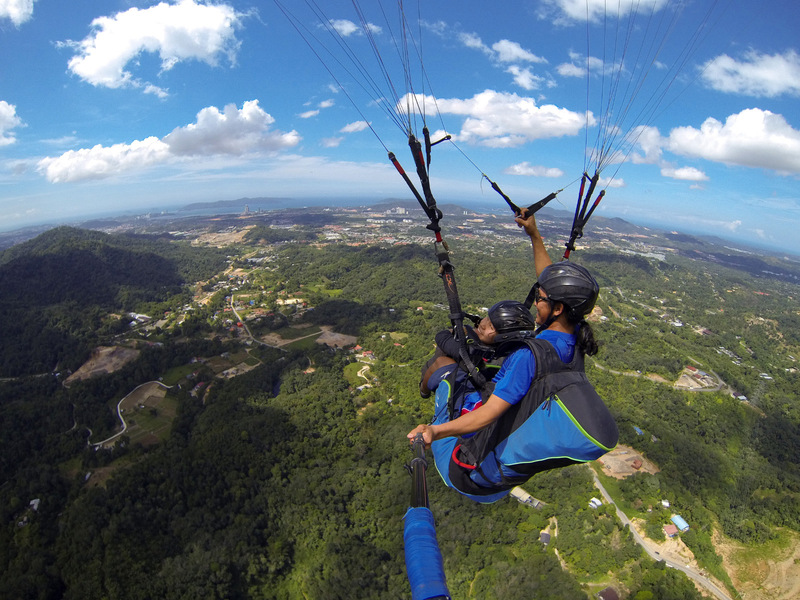 If you are an adrenaline junkie and not afraid of heights, this could be the perfect activity for you to do in KK. You should drive up to Bukit Kokol and try out the paragliding activity. If you are not familiar with what paragliding is, this is what it means. It is almost similar with parasailing, whereby you are attached to a parachute and a boat pulls you. With the wind at the sea you will start to fly up until the boat brings you back to land. Now instead of having a boat pull you at sea, you will fly off the hill of Bukit Kokol to an amazing view of KK. Worry not you will have a pilot to fly you and pilot you to ground. It will cost you RM 250 if you are a local and RM 370 if you are a foreigner. You will get a flight time of about 12 minutes depending on the wind and your entire flying experience will be capture in a go pro camera which will be transferred to you upon landing. Sadly, the time I went up the take off zone, it started to rain heavily for hours and I had to cancel my slot. This is perhaps the one thing I regretted not doing at KK. I got a full refund as the rain forced us to cancel our slot. Sabah is all about seafood when it comes to food. It is cheap, fresh and delicious. What else you can ask for when it comes to food. I spent 2 nights at KK and I ensured that I had seafood dinner for both nights. The first restaurant I will suggest you is called "Welcome Restaurant". 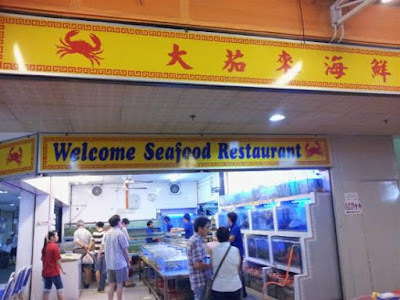 It is perhaps the most famous seafood restaurant in KK. Nearly every tourist who comes to KK goes to this shop. You should go too and you will have no regrets. I had huge prawns, fish and super big lala plus vege and drinks for just RM 30. That's a bargain in my opinion. The second spot you should try is not for it's seafood but for the chicken they serve. The place is called Ang's Hotel. 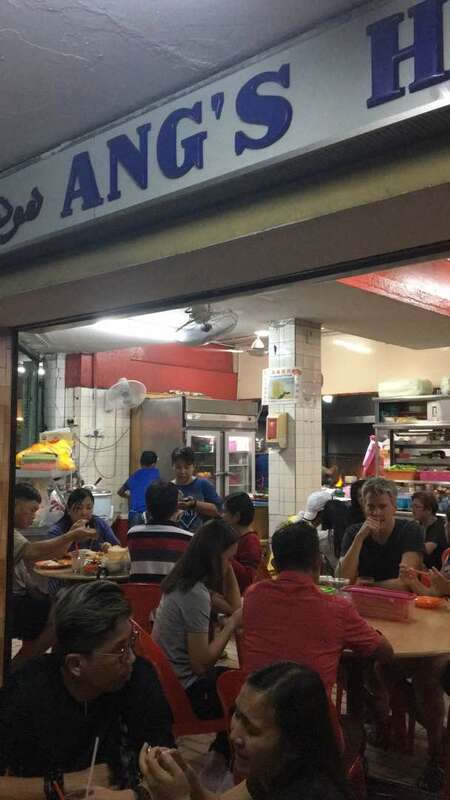 Nope, it is not a fancy hotel buffet or anything but it is a small chinese shop which located below Ang's Hotel. It took us an hour to get a seat there and they are famous for their fried chicken wings with oyster sauce. It was the bomb. It tasted a little sweet yet you will find yourself can't stop eating it. You will find that dish on every customers table the shop. When comes to pricing, it cost me only RM 20 per person as we had 3 types of chicken, 1 vegetable, 1 type of tofu and 1 type of prawn. Super duper cheap. Sinalau means smoked and bakas means pork if I translated it correctly. It is smoked/grilled wild boar which is sold by the road sides when you drive up to Kundasang. 1 kg of Sinalau Bakas will cost you RM 20. It is the perfect food to have for your alcohol drinks. Mix your Sinalau Bakas with the local chili paste (sambal) and squeeze a piece of lime on it and you are good to go. It was the best dish I had throughout my Sabah experience. It is one dish I want to go back and try again. For those who drinks alcohol, Leheng is the local alcohol. It is in essence Rice Wine which is brewed by the local people. It has a sweet and fruity taste and it goes well with the Sinalu Bakas. A big bottle (beer bottle size) will cost you RM 15 and a small bottle of Leheng will cost you RM 7. This was a summary of my experience in Kota Kinabalu and some of the fun stuff I feel you should try. For those who are yet to visit Kota Kinabalu, I hope this post gets you excited and for those who are planning to go to Kota Kinabalu soon, I hope this post serves as a good planning guide. Cheers and have a great holiday in Sabah!